Hiring out classic vehicles for use in photographic and film shoots can be fun and rewarding, but – take it from us here on Planet Sputnik – it’s also bloomin’ hard work, and not quite as glamorous as it sounds! For a dedicated owner who’s invested much time, money and effort in their pride and joy, it’s fabulous to see your vehicle immortalised in the pages of a magazine or on film. It’s even nicer to receive the cheque afterwards: thirsty classics aren’t easy to maintain or cheap to run, especially with fuel at well over £6 a gallon, so if a car or motorcycle can be ‘put to work’ to help contribute towards its keep, all the better. 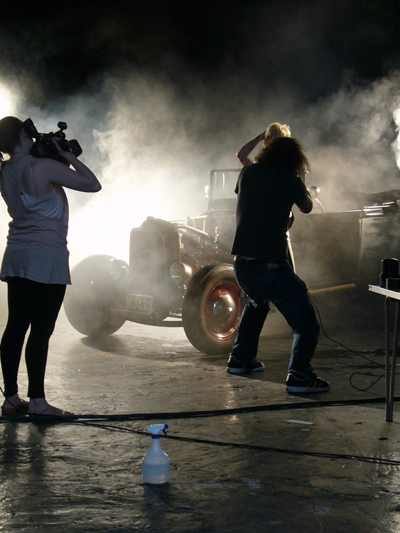 with our 1929 Ford hot rod for Bizarre magazine – but it’s hard work, too. 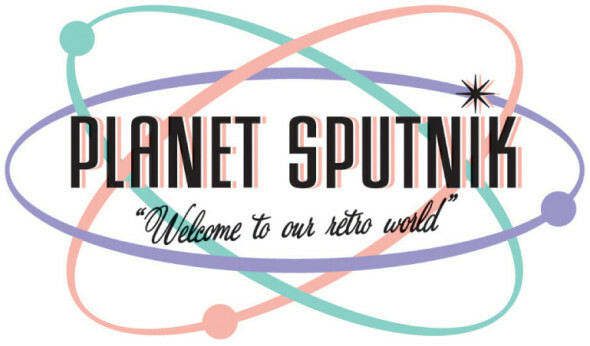 Planet Sputnik has been hiring out classic cars and motorcycles for shoots for many years, and oooh, could we tell you some stories… So, what about just some of the high points? Well, our 1969 Plymouth Road Runner appeared in the opening credits of the Tim Burton and Johnny Depp blockbuster Dark Shadows. 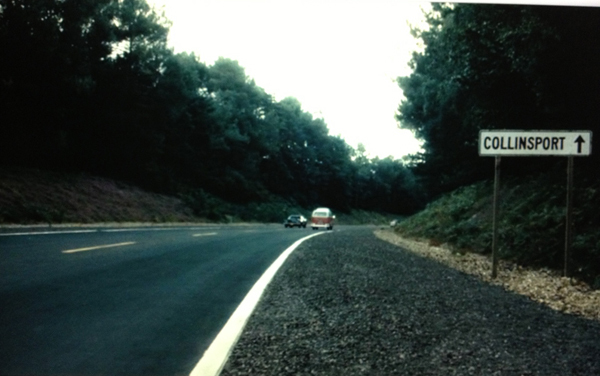 Blink and you’ll miss it – but that’s our 1969 Plymouth Road Runner in Dark Shadows. ‘American freeway’ sequence was filmed on private test track in Berkshire, UK. 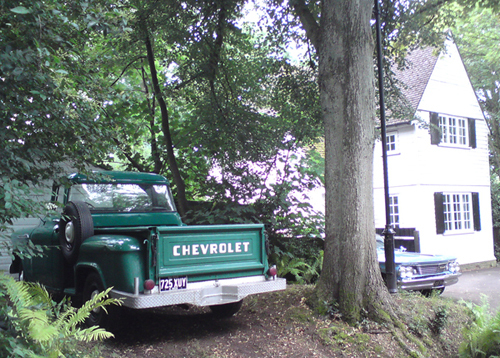 And our 1956 Chevrolet pick-up truck, fondly known to us as ‘Ol’ Green’, featured on the cover of Lana Del Rey’s no.1 album Born To Die, as well as in the original video to her hit Blue Jeans. ‘Ol’ Green’ will forever be known as the ‘Lana Del Rey’ truck. Singer-songwriter Rita Ora has also strutted her stuff with the Chevy, and top model – and Sir Mick’s daughter – Georgia May Jagger has done the same. 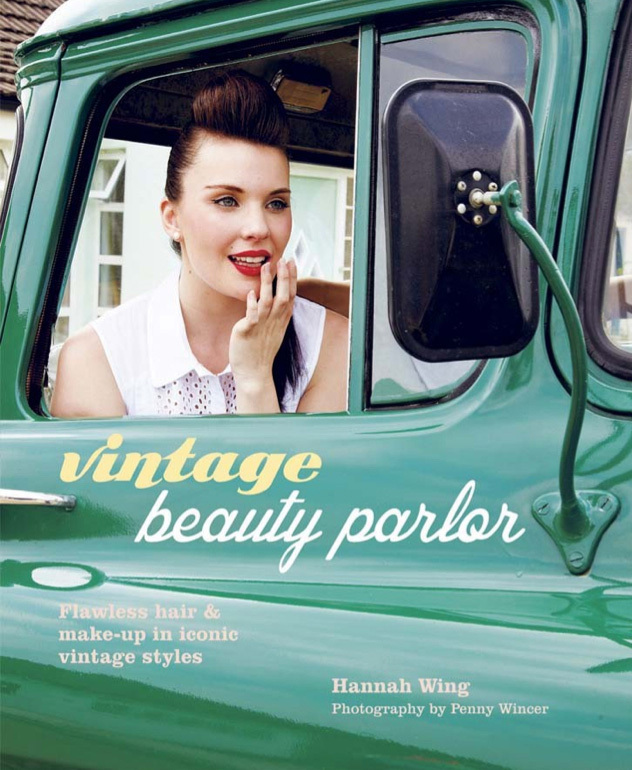 It even featured on the front of vintage hair and make-up book, Vintage Beauty Parlor. Images and text excerpted from Vintage Beauty Parlor book by Hannah Wing. Photography Penny Wincer. Copyright © Ryland Peters & Small Ltd.
Reprinted with permission of the publisher. All rights reserved. Filming nightmares we’d rather forget? How about the time that same pick-up went up in flames on the set of Dark Shadows. Long story, but suffice to say the day (and the truck) was saved by a quick-thinking, fire-extinguisher-wielding member of the production crew. Just as well they were on hand; we were too busy having a meltdown of our own to think straight! – but ‘Ol Green’ lived to tell the tale. Then there was the day just two of our team had to deliver no fewer than five classic motorcycles to an early-morning, central London studio shoot for GQ Style magazine – in a December snowstorm. Our brave riders’ carefully orchestrated shuttling shenanigans would have put an Olympics relay team to shame, although they were numb with cold and in dire need of a cuppa and hot water bottle by the time they were done. 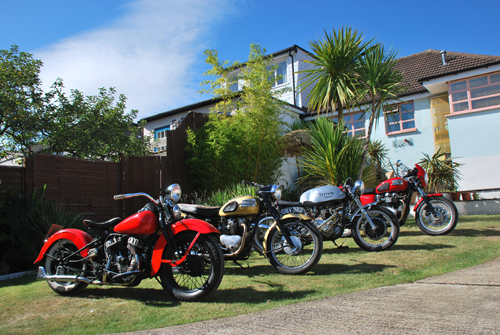 The results were worth it, however, as the bikes – ranging from a 1939 Harley-Davidson to a 1970 Triumph – looked amazing in the images. 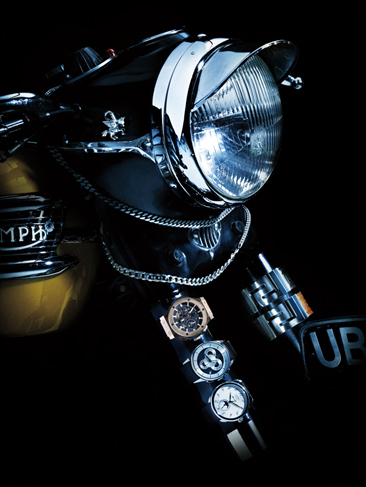 Classic bikes were stunning in high-end men’s accessory shoot for GQ Style. From music promos with Texas and Duran Duran, to commercials for Lucozade and Avon tyres, TV shows such as Kirstie’s Vintage Home to movies like The Boat That Rocked, not to mention countless editorial clients, we’ve had a great time on set and on location with our cars and bikes over the years. Just don’t go thinking it’s easy money! Just some of the mags Planet Sputnik’s vehicles have appeared in. Image: Auto Express, Michael Bailie. All words © copyright Planet Sputnik 2013. Words and images may not be copied or reproduced by anyone, anywhere, for any purpose whatsoever!